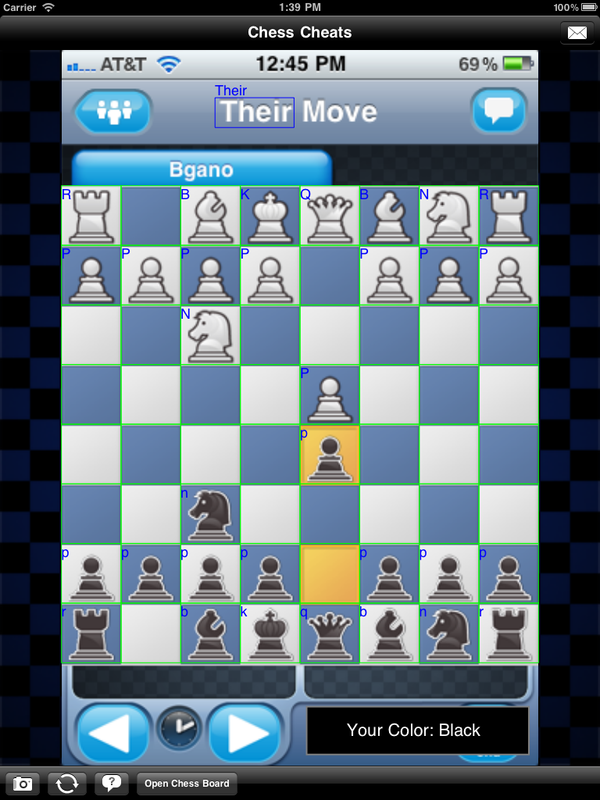 Simply the best app for helping you win your Chess with Friends matches! 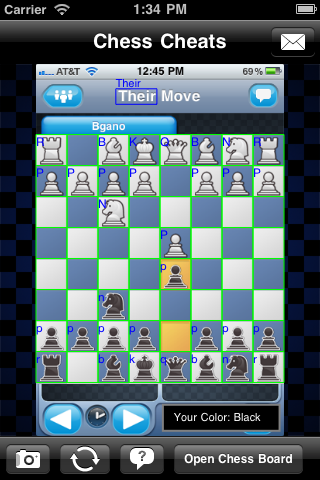 Do you play 'Chess with Friends' on your iPhone/iPod/iPad? Do you want to totally annihilate your opponents? Avoid major Blunders? Improve your chess skills? Then this app is for you!! Includes Optical Character Recognition (OCR) to make importing your games fast and easy. All that is needed is a screenshot (press the power button and the home button at the same time to take a screenshot). No need to manually edit the location of all the pieces on the board! 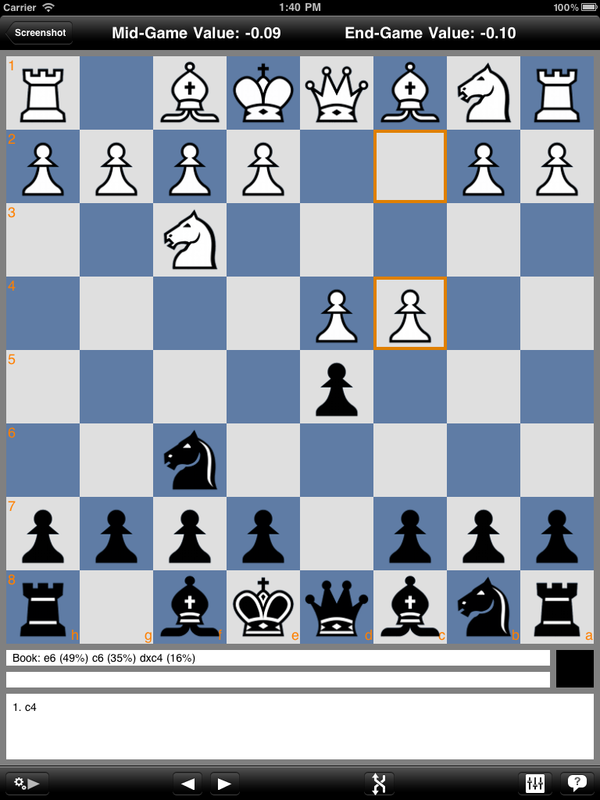 This app can be used in a variety of ways including automatically finding the best possible move to make, helping to catch a blunder, or interactively exploring different move options. 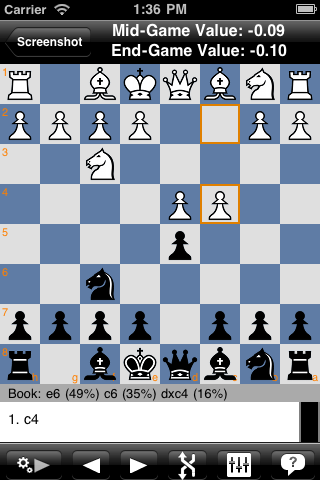 Using this app can also help improve your chess skills because you can easily experiment with different moves and have the computer automatically respond for your opponent! Or you can move for your opponent if you would prefer - through the many options and controls available. 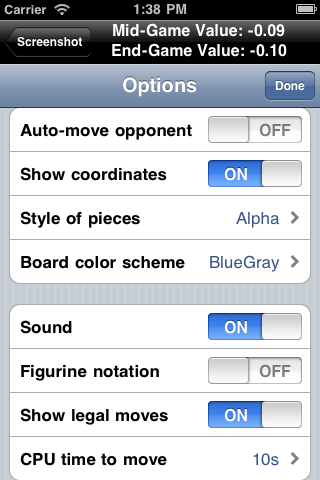 OCR - iPhone/iPod touch / iPad (including both Retina and non-retina displays as well as both 1x and 2x modes for the iPad). Auto detection for who's turn it is and which color you are playing. Express button to automatically load the last image; makes importing games super fast! 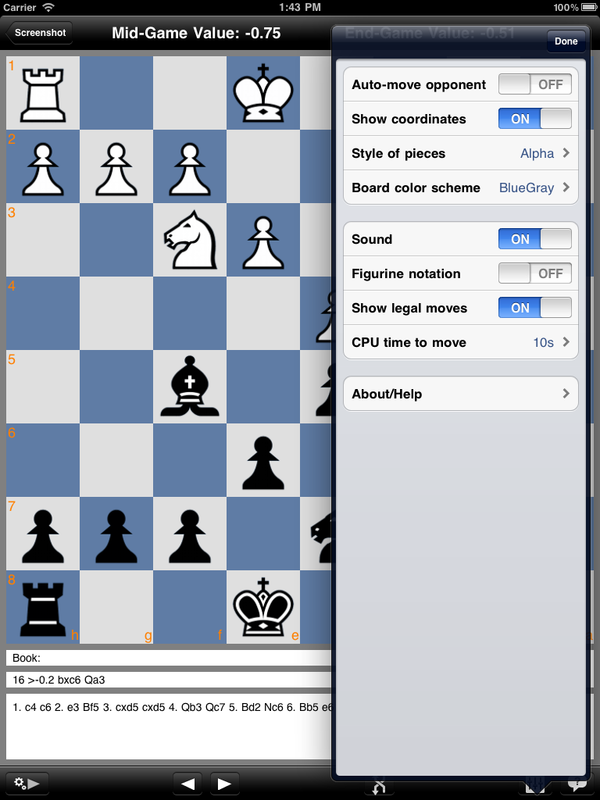 The Chess Cheats - for Chess with Friends framework is released under the GPL license: source. 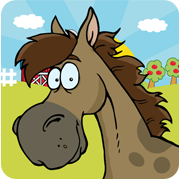 We are not in any way affiliated with Zynga, Inc. or their application Chess with Friends. Chess with Friends is a registered trademark of Zynga Inc.